In a very strictly worded judgment, a bench of Justices V.Gopala Gowda and C.Nagappan ordered a pathological lab running in a residential complex in the name of a nursing home to be shifted to an alternative premise within 4 weeks and scolded the Municipal Corporation of Delhi (MCD) for laxity in its approach. The SLP was filed against the orders passed by a Single Bench and the Division Bench of the Delhi High Court. The matter pertains to a challenge to running of a Pathological Lab violating various norms in form of a writ petition filed before the High Court. The appellant is a resident of the complex where the lab was run by Resp 6 & 7 in the ground floor, first floor and the mezzanine floor. The Lab employed around 50 people, 25 ACs, 2 Diesel Generators and caused lot of parking problems plus disposal of hazardous waste. Various Complaints were made to MCD as Resp 1 and SHO of the area as Resp 2 among others. Infact during pendency of the writ petition, a Regularization Certificate was granted to the lab. The challenge to this Certificate was rejected by the High Court in the revised fresh writ petition. 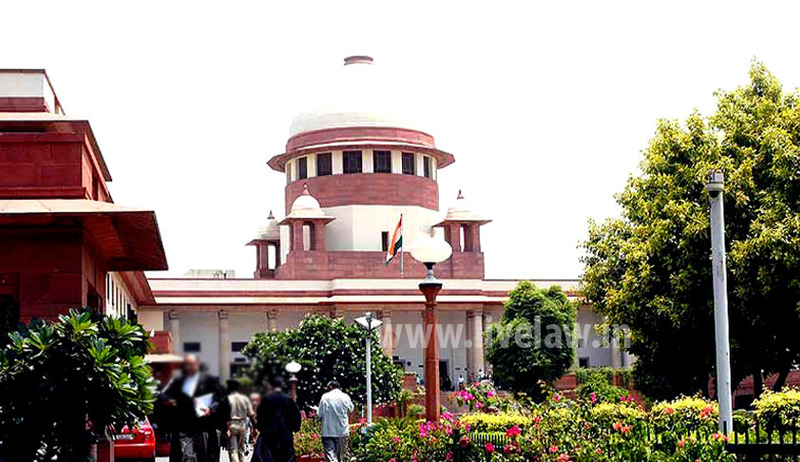 Denying that an amicable settlement can be allowed in disputes of such nature, the bench speaking through Justice Gowda rejected the contention that the petition was not in the nature of a public interest as public at large was affected. The judgment records that even after several complaints, no action was taken by the MCD. According to the sanctioned building plan, the basement and the mezzanine floor could only be used for storage purpose and nothing else. The bench also noted in oara 29 that counsel for respondents i.e. Indu Malhotra, K.K.Venugopal and L.Nageshwar Rao made a submission with mala fide intention that no mezzanine floor existed in the building. The Regularization Certificate was found in contravention of Building Bye Laws and MPD-2021. (Master Plan) The bench noted that the property does not come under Mixed Use where it is allowed to use complex for such purposes. It was strictly pointed out that the Certificate even if considered valid was granted only to run a nursing home but not a pathological lab. It was concluded that the Regularization Certificate was invalid in the eyes of law. It was also judged that the whole establishment by Resp 6 & 7 violated principles of the Environment Protection Act, Water (Prevention and Control of Pollution) Act, 1986 and Water (Prevention and Control of Pollution) Act by not complying with the safety measures.